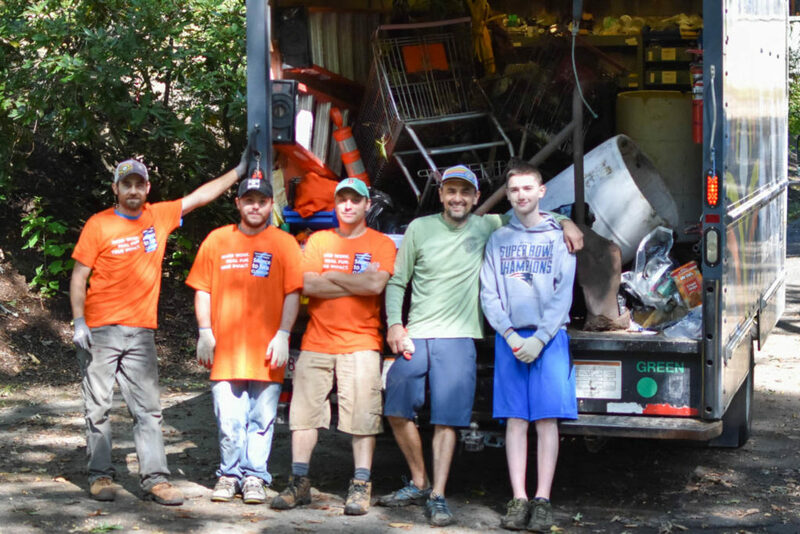 For the last several years, PV Squared has volunteered at the Connecticut River Conservancy’s Source to Sea Cleanup in an effort to clear the trash buildup in the Connecticut River. 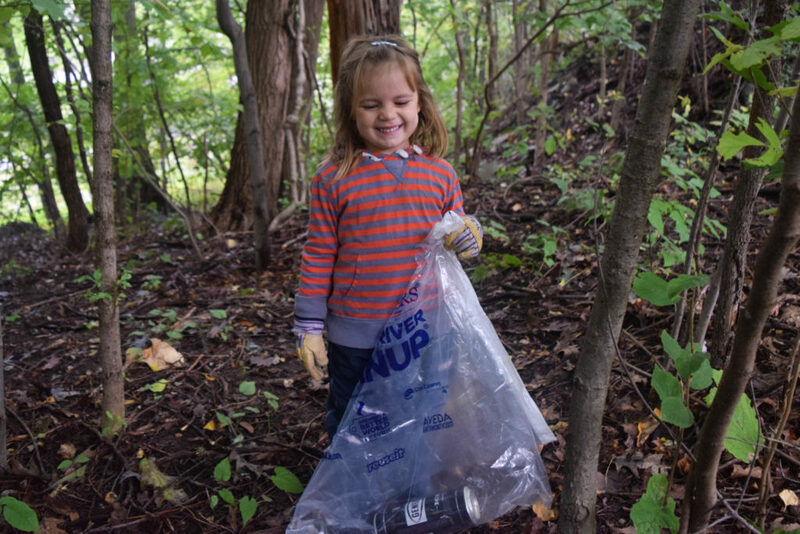 It’s an annual cleanup of the Connecticut River system along the four-state watershed (NH, VT, MA, CT). 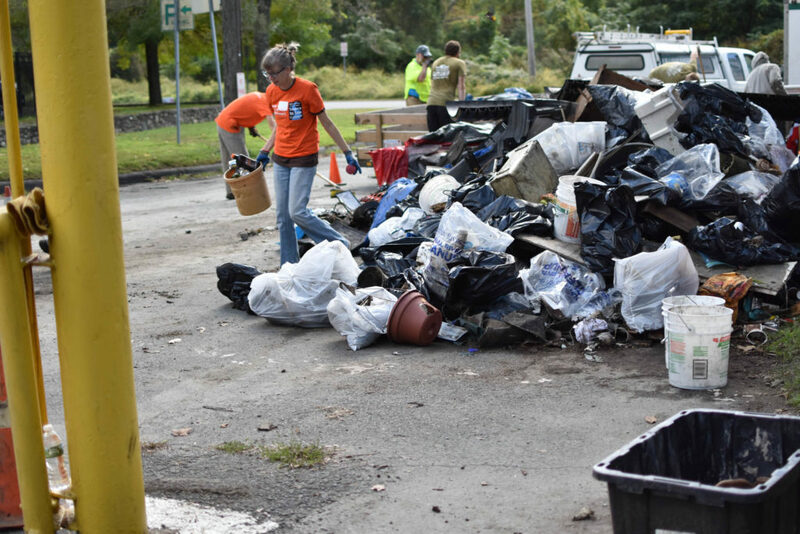 PV Squared employees, family members, and friends worked together for several hours on Saturday, September 29th for this year’s 22nd annual cleanup. 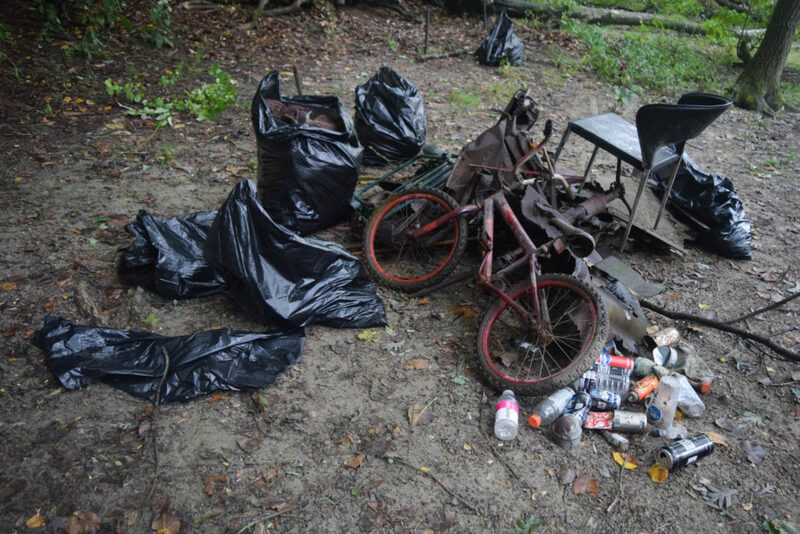 Our team focused on clearing out two sites, one in Turners Falls and one in Greenfield, which included both the Connecticut River shore and trails in the woods. 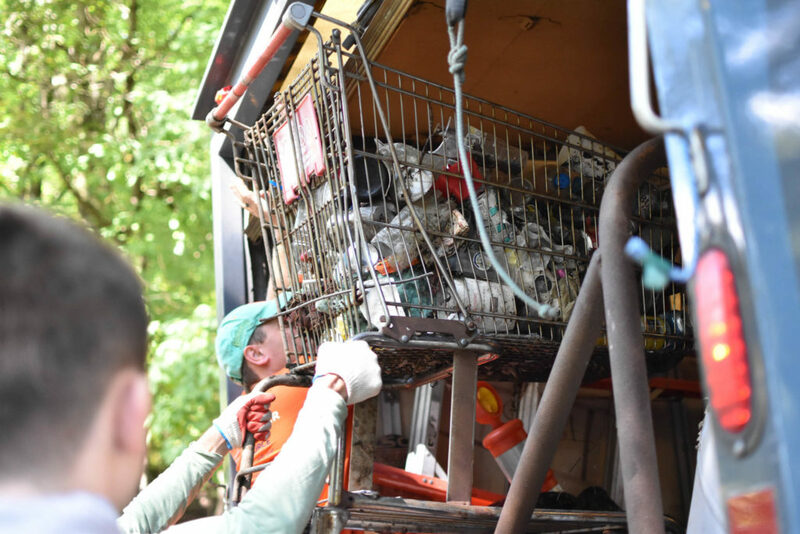 We encountered a variety of trash and debris, including plastic and paper products, old tires, a bicycle, parts of an old jeep, shopping carts, and a variety of other metal objects. 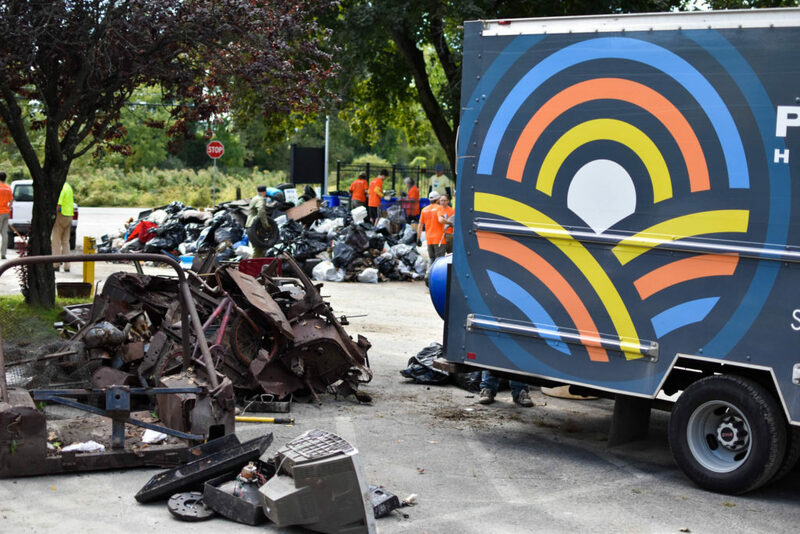 After clearing out the two sites, we hauled all of the trash into our trucks and relocated it to The Green River Swimming and Recreation area, where dozens of volunteers were separating trash, recyclables, and metal. 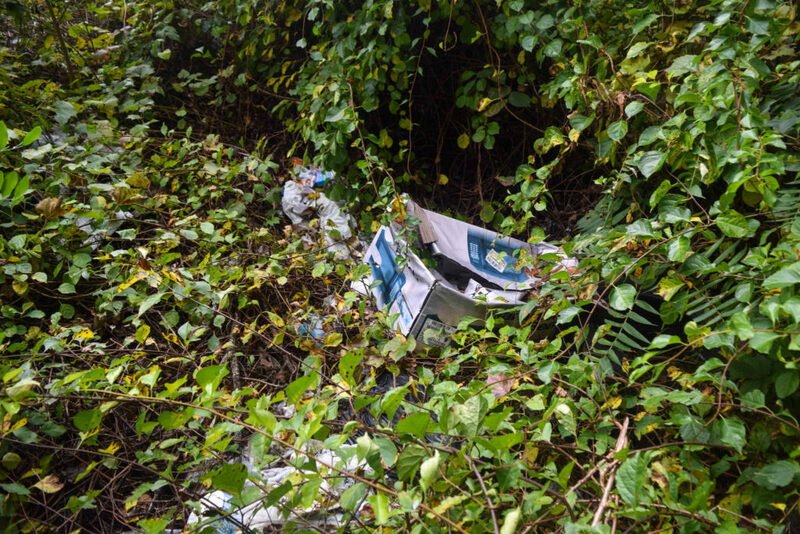 According to this article in the Greenfield Recorder, volunteers removed nearly 20 tons of garbage from the Green River and its tributaries on Saturday! 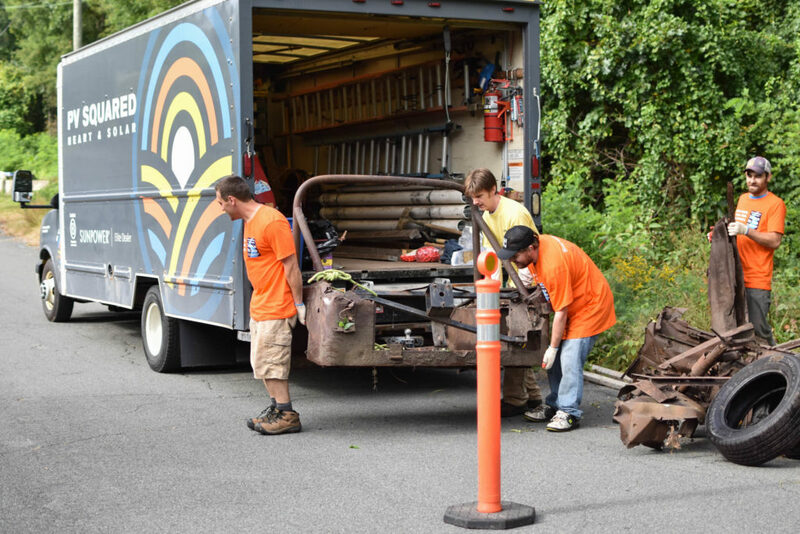 We hope you’ll mark your calendars for next year’s Source to Sea Cleanup and consider joining us!